Product Review: FlaxMatters | Cook. Vegan. Lover. Lately I have been making a number of raw dishes using Milled Golden Flax from FlaxMatters, such as the raw onion crackers I made the other day using this great milled golden flax. Flax meal (and seeds) are called for in many raw recipes and is great to keep on hand. You can also use milled flax as an egg replacer in baking, however I would recommend only using it in breads, cookies and other baking items that have more of a granola taste or texture such as oatmeal cookies or banana bread. Lastly milled flax is great as an addition to smoothies, cereals and oatmeal. I love to mix it in my favorite smoothie of chocolate hazelnut milk, banana and frozen Maine blueberries. Also great mixed in oatmeal with almond butter, banana and stevia. 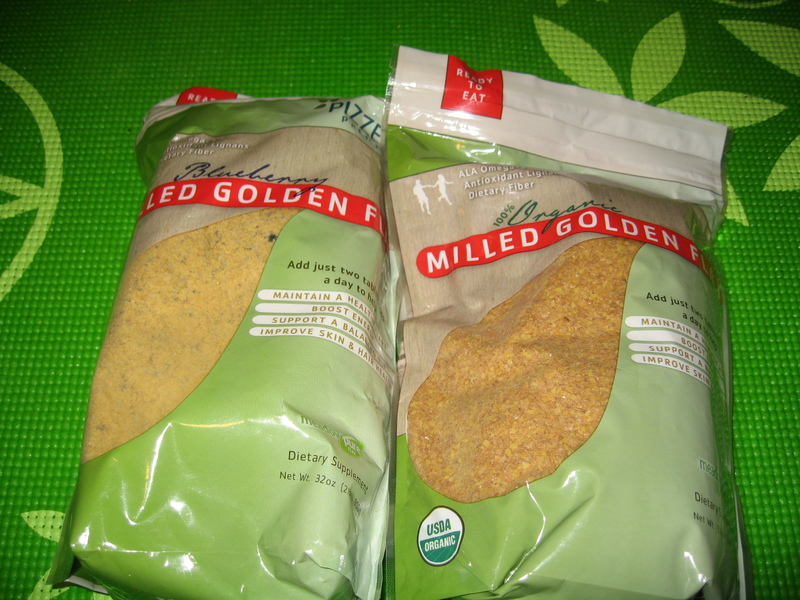 FlaxMatters also sent a Blueberry Milled Golden Flax and this is great to add to baked goods, smoothies and oatmeals. The blueberry isn’t overpowering but gives a great subtle flavor. Blogger Disclosure: Cooking For A Vegan Lover received this book at no cost from the company for review. This entry was posted in Uncategorized and tagged flaxmatters, product review. Bookmark the permalink. Blueberry flax? That sounds awesome! I drink a glass of water with a tablespoon of flax mixed in every morning to make sure I get my omega-3 dose for the day. I like to grind flax seeds and sprinkle them on my yogurt. Yum.